In part 1, I stated the I believed prepping and practical minimalism can coexist. It seems a bit of an oxymoron to have both the words “prepping” and “minimalism” in the same phrase, but I believe it makes sense. We are renters, and recently I stepped back for a moment to take a good look at our way of living and our stuff. We had too much of it. Facing another cross-country move, I started taking inventory of everything we own and made some tough decisions about what to do away with. I’ve developed a new attitude of what I call “practical minimalism”. Many preppers I know question why I would even consider downsizing my preps or my personal items to just the essentials. For me, there are two main reasons: 1) ease of portability and 2) the peace I feel in a well-organized and clutter-free home. In part 1, I went over how I pared down my preps, including food and water and survival gear. I also provided the questions that I asked myself to help me evaluate what to keep and what to get rid of. Yet, what I decided to keep, I had to store. Minimalists pride themselves on how little they own. 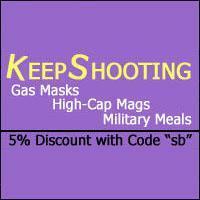 Preppers store supplies in stockpiles. How can these two ideals coexist? They can exist by merging the two lifestyles, finding a happy middle, and by having smart storage. After downsizing to the minimum number of items for your prepping needs, go through all your personal items in the same way. It will open a lot more room and options for storing the items you do keep. There is one area of special importance: sentimental items. This area of downsizing will vary from person to person. Some people do not have emotional bonds to items; others can tell a story about every item in their home. It may be too difficult to choose a few sentimental items to keep. For these folks, starting somewhere is key. Get rid of a few items that don’t hold too much importance any more. For example, if you must choose between keeping a poster from Spring Break 1992 that has been rolled up in your closet for more than 20 years or a framed painting your great-grandmother painted that you love, keep the painting; donate the poster. Doing this will get the ball rolling. Future decisions become easier as you go through your belongings. Something I put into practice is what I call the “power of three”. I looked at items that I had a lot of and that occupied a lot of space in my storage areas. I call them the storage hogs. These storage hogs include kitchen supplies and appliances, kid’s toys, books, and textiles, all that were hogging space for me. I chose three of each to keep. Books were an exception: I kept five children’s books and five most useful books from my survival library. In the kitchen I had duplicates of utensils, like spatulas and wooden spoons, so I took the best of each to make one complete set. I set aside four place settings of dishes and silverware, and then I donated the others. I did the same for cups and mugs. All storage bowls without lids were donated, and only the important cookware and bakeware were kept. Items like a garlic press and potato ricer, which I used once or twice each year, were set aside for a yard sale. The same went for electric appliances. My juicer went to the “sell” pile, but multi-purpose items were kept. One example of an appliance kept is my electric pressure cooker. It is used often and has many different cooking functions. I have a toddler who is only attached to one or two toys, so getting rid of the extras was easy. Using the “power of three”, I kept three items from each toy category. We kept three stuffed animals, three puzzles, three plastic dinosaurs, three toy cars, and three electronic toys. I discarded all the cheaply made items and kept the highest quality items from each category. Again, books were an exception; I kept five books that will last throughout childhood. Two large exceptions were a wooden train set and a small wooden kitchen set that take up minimal space. It may sound like we still own many toys, but believe me, it is a drastic change from what we had. Once the major “storage hogs” were downsized, it allowed me to look at our living space in a new way. Critical survival gear, which had previously been stored in the garage and was visible when the garage door was open, was moved into the empty kitchen cabinets. Now, it is hidden from plain sight. Our child’s toys used to occupy an entire room, and now they are tucked neatly into a three-drawer chest. Minimalism is not just about having fewer items than the average person; it is also about having those items out of sight and organized in a logical way. We keep our kitchen items in the main cabinets within reach of the stove, sink, and oven. Our survival gear is tucked into the less used cabinetry. Once the non-essential items were gone and more space opened, there was an urge to fill the empty spaces. I’d gotten used to filling up every nook and cranny with something “I might need in a disaster”. That has been the toughest part for me. I remind myself daily that I have kept the survival gear best suited for our needs and the items necessary for everyday living. As renters, we own furniture that can serve more than one purpose. Storage comes at a premium when renting, so we utilize things like ***two-drawer file cabinets***amazon.com/Z-Line-Designs-2-Drawer-Vertical-Cabinet/dp/B009D10R6E for end tables, a ***storage trunk***amazon.com/SONGMICS-Leather-Folding-Footrest-ULSF703/dp/B00PC74FQG as a coffee table. We utilize the space under the bed for extra stowing, and we opted to buy a ***kitchenette set with bench seats***amazon.com/Essential-Home-Breakfast-Kitchen-Corner/dp/B00IHFGXFQ that open for more storage. Many of our preps have been relocated to these areas now that the everyday clutter has been cleared. Once the clutter is gone and your gear and everyday items are stored neatly in the home, it becomes essential to reframe your thinking when out shopping. My family is not a fan of big box stores, for many reasons. However, where we live, there is only one store that serves the area, unless we choose to drive many miles into town. When analyzing our budget, I discovered we were making poor decisions at the big box store. We would go in for groceries and come home with toys, DVDs, socks, a new t-shirt, or that “one thing” we’ve been wanting for a while, in addition to our groceries. To remedy this, we now go in on the grocery side of the store only. If we need an item other than groceries, we fetch it after getting our food and immediately head to the check-out. Do I already have one? Do I have something at home that can do the same job as this item? Do I have a place for this item? Am I willing to get rid of something at home to have it? In terms of my job, how many hours would I have to work to pay for this item? Can I find it less expensive at a thrift store or online? If I buy it, am I willing to keep it until it is rendered useless? Is it a quality-made product that will last, or will I have to replace it soon? Asking the above questions has greatly improved our budget and has kept our practical minimalism in line. Reassess once per year, or during major changes. 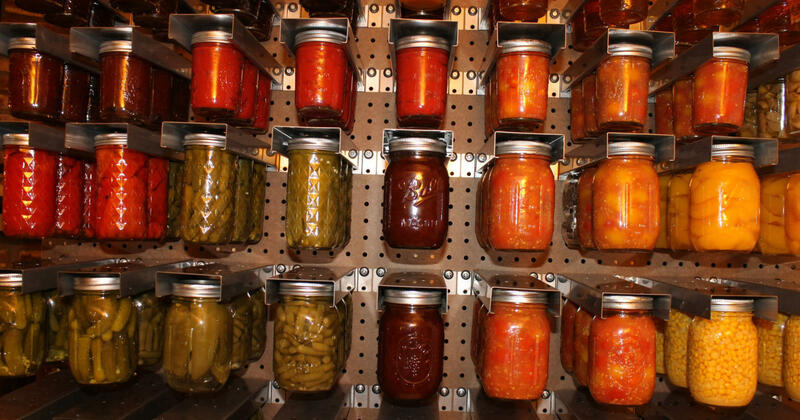 Once a year, perhaps during spring cleaning, reassess your minimalist prepper lifestyle. Is it still working? Have your prepping needs changed somehow? Has clutter crept back into your living room? Another great time to do this is during any major change. Changes that might drive reassessment include a birth, death, marriage, divorce, relocation, new job, et cetera. In conclusion, using the above steps can help a person achieve a less cluttered living environment without totally sacrificing one’s survival supplies. Prepping and practical minimalism can coexist by keeping only the most necessary supplies, analyzing what comes into the home, and implementing smart storage. Another great and mindful article, thank you. Like many, I went insane when I started this journey. My Spouse thought I did too, and did not see things the same way. We know we are moving at one more time, and while I have at least one month’s food supply, plus other stuff, I have looked things over and tweak as needed. At present mine fit in one big tub and three 5-gallon totes. All the extra BBBs are in other locations, but close at hand. Great article that brings a unique perspective not often found on survival sites. I’m also in the same mindset and have been pairing down my items the last few years as well. It is possible to strike a balance between prepping and minimalism. One tip that works well for me with clothing is if I buy something new I force myself to donate an existing item. So if I like a new t-shirt enough to spend money on it, it means I like it more than something I already own so make myself donate the old one. If you do things like that it will help prevent you from ending up with a closet of stuff and also donating to someone in need. The power of 3 is an excellent way to downsize. I have been slowly getting rid of excess clothing and other things. At age 74 it’s time to employ the power of 3 to make live easier. Great article. Thanks. I understand the articles minimalist concept but cannot get aboard, If your are forced to do this due to space considerations fine, if not and you believe in a long term scenario you still have to eat and food for a year or two takes up a lot of room. Minimalism sounds to me like the “Tiny House” mind set. Personally I would find another place to live that allows me to store the items that we will need in the event of an event, running out of food and begging for a meal isn’t going to work in the long run. As a grandpa I still believe that I have duties as the eldest member of the family that include protecting my family. Although I sometimes wish I phones and computer games were edible, that would help with food storage. At least they will know about a disaster sooner than I and can commence running around like chicken little. Joe, I felt the same way at first. But then I thought back to when I was young, as in college & in my 20s -moving from apartment to apartment, & renting a room while in grad school. There are other times when one may be forced to downsize, as in after a divorce or when your job is “downsized” & your new job pays less. So believe this article has some merit. Well i am certainly not a minimalist but i have implemented some ideas of removing clutter. One idea i read about is taking a good picture of things you love and don’t use but want to remember, like the poster mentioned. You can then donate or get tid of it but the memory won’t be forgotten. And photos take up much less space it s a good thing your wife is on board with you. Great article, but I question the 5 books for your child. This will change dramatically when the home schooling kicks in. I know you can get most everything on line nowadays, but it’s seriously unhealthy for them to stair at a screen all-day. Our library at the homestead has no less than 2500 volumes, plus no go for the computers when the powers out. Most peppers plan for grid down events when you can no longer buy sell or trade. This would mean having access to items that may not be available anymore, to us this is our “money in the bank”. I do fantasize about living with less. And my wife and I have lived in everything from small boats to semi truck cabs for extended periods, so less was more in those situations. Right now we are in the, as JWR states ” two is one and one is none mode”. And storing up allows for us a bit of security if times get tough. We can always sell items to get by, so there’s value in that. I hope one of those five books yours child posses is a Bible. Most importantly we need to stand on God’s word as to how we are to prep and take care of the family. We pray you find a suitable piece of land and that you go forth and continue to multiply your flock. Bless you and keep on writing. I have to agree with Patrick. As a parent we tended to save too much stuff but as grandparents I am seeing the wisdom of downsizing most everything….but with one exception to the 5 book idea for kids. Kids gain a whole lot from reading….and not from a screen. 5 books even for one toddler really limlts what you can read to them. Wait til you have more…..I recently got rid of a lot of our adult and kid books but we still probably have 20-30 kid books left that our grandkids love. At least 200or more adult books that we may read Again. Otherwise great article! Not to pile on, but I have to agree about the books. Everything else sounded great, but that had me scratching my head. We read 3 to 5 books to our kids every night. That would get old real quick for them. You don’t even have to spend a lot of money. You can get used children’s books for $1 or less at used book stores, libraries and garage sales. You can never have too many books. Also, if you ever DO need those preps because shtf, you’ll need to keep the little one busy. (laugh) does this apply to guns too? luke 12:33, 14:33 – “Sell your possessions and give to charity; make yourselves money belts which do not wear out, an unfailing treasure in heaven, where no thief comes near nor moth destroys.” – “So then, none of you can be My disciple who does not give up all his own possessions. As usual, what this looks like in practice is different for every family. Donating the kiddo clothing after they have grown up and outgrown it, etc. Keeping up with this on a regular basis will prevent the dreaded “purges” later on. While our family parameters are slightly different this article makes some excellent points. This article roused my curiosity, and I did a bit of research on the Missouri Self Defense Force (MDSF). Apparently the Governor approved a plan to stand up a modern version of a State Guard, with the initial core coming from the Missouri National Guard, followed by recruiting from general veterans, and finally opening up to the general public. Since an internet search didn’t return any news about recruiting for the MSDF, nor any MSDF activities, I assume the plan accomplished its purpose of strangling the State Guard in the cradle by giving it to the National Guard to implement. That search did reveal a non-authorized militia, the Missouri Defense Force which at least has a website and sufficient uniformed members to post lots of photos on their facebook site. But since there are no links to either the Missouri Adjutant General or other official State website, I assume this is an unofficial militia. Does anyone have information on that? Great perspective and article. Another thing to consider is that most of what is gotten rid of are not preps, but other clutter. Having a more organized household means it is easier to find your preps and hit the road in a hurry if you need to bug out. Let’s face it, the most likely SHTF for most of us will be relatively personal, local, or regional – fire, flood, wind, chemical spill, or other disaster. The less you leave behind, the less you have lost. Intelligently minimizing your possessions means you spent less and saved more. Barring total economic collapse, in most cases, money is the best prep, once you have survived the initial event. I must assume the author does not have a large family or many friends! Simplification has helped me with both storage and rotation, but I still have multiples of everything that may be needed! I no longer keep multiple types of the same thing. Defense has been reduced to deep inventory of a few calibers and the tools to go with them. Food is basic ingredients that can be combined in many ways. Clutter was controlled by building proper storage and using standard sized containers that are properly labeled. They stack easier and take up less space! The author may not care about family legacy, but next generations may not feel that way. I would hate to think, that I would never have touched my great grandfathers tools or Bible, because someone considered them clutter. May not apply to the younger folks, but I once ‘cleaned out’ my home of percieved nonessentials. This mostly included worn out clothes, toys, comic books, childrens’ books, and musical instruments. Most of it was trashed! My step-father used to chide me continuously to throw out anything I hadn’t used in the past year. He drove me crazy with the constant bickering. I have a large workshop. More than a year or even two might transpire before I need to break out the oxy-acetylene torch or use the rotary table on my milling machine. Or for that matter, I might only use the 7/16″ or 5/8″ sockets this year (probably more than that, but you get my point). No, I’m not going to discard all of the unused tooling. In fact, I’m usually looking for additional tools for some specialty task or just to make life a little easier. I don’t make a living with my tools or the VERY large collection of supplies like raw materials and hardware. But I could. I can fix just about anything and can run my shop on my home-engineered solar power system. I’m sorry, but I’m not getting rid of any of it.